Mardian Toll Free # 855-821-9057 "Your Concrete Pumping & Laser Screed Experts"
Mardian Concrete Pumping Co. offers the best concrete pumping service in Arizona. With office locations in Phoenix, Tucson, and Flagstaff, we are able to meet all of your concrete pumping needs timely and professionally. Mardian Concrete Pumping Co. has Schwing Concrete Boom Pumps, Putzmeister Concrete Boom Pumps, Schwing Concrete Placing Booms, and Schwing Concrete Line Pumps/Trailer Pumps. 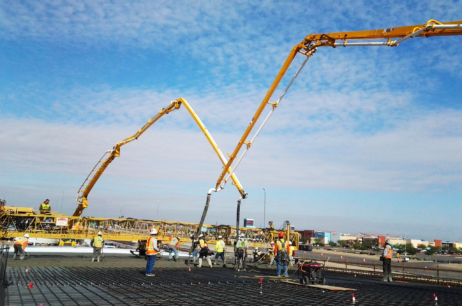 Mardian Concrete Pumping Co. offers the best laser screed concrete service in Arizona. With office locations in Phoenix, Tucson, and Flagstaff, we are able to meet all of your laser screed needs timely and professionally. Mardian Concrete Pumping Co. has 3D Laser Screed Shooting capabilities to allow for the most accurate screed in all of Arizona. Somero technology and equipment will enable every installation to be completed faster, flatter, and with fewer people. Mardian Concrete Pumping Co. is pleased to announce that effective November 1, 2013 we will be providing concrete pumping and laser screed services. 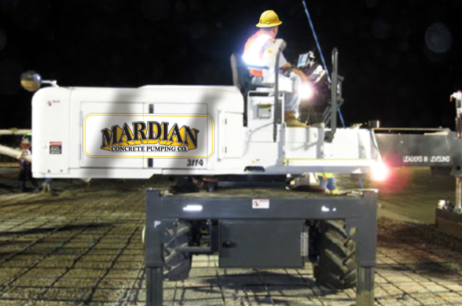 As an exclusive provider of concrete pumping and laser screed services, Mardian Concrete Pumping Co. will be able to provide you with focused customer relationship strategies and excellent customer service to meet all of your concrete pumping and laser screed needs. Contact Us for more information, and we look forward to building our relationship with you.